Immerse yourself in the medieval era by playing the ruler of an up-and-coming nation in this amazingly intricate MMO strategy game, Khan Wars! In this game, you’ll need to build up your nation economically by setting up and upgrading various resource producing facilities along with your city’s storage capacity. Don’t forget about the military aspects of the game as well! 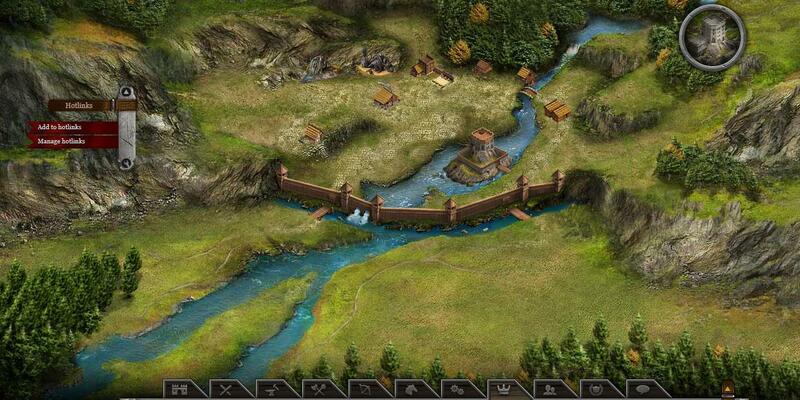 You’ll need to recruit units from barracks, archery range, stables and even the workshops (siege weapons) to launch campaigns against other players or even to defend your own city from possible invasions. 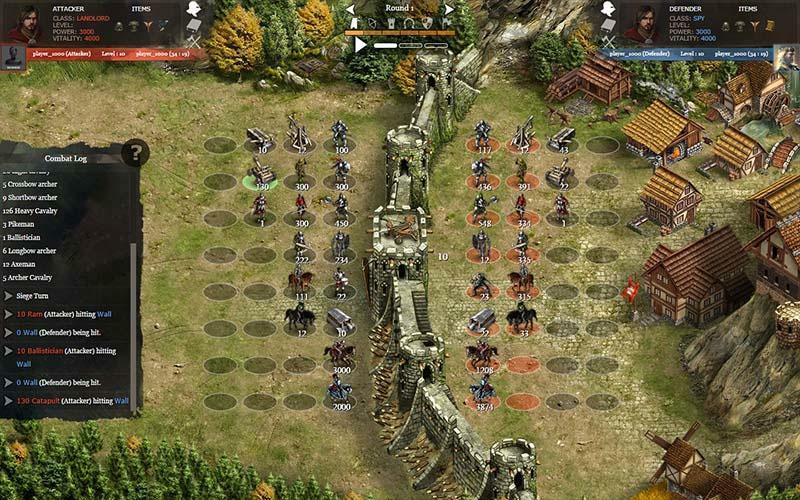 Do upgrade your army from time to time and recruit a capable knight to lead the charge. 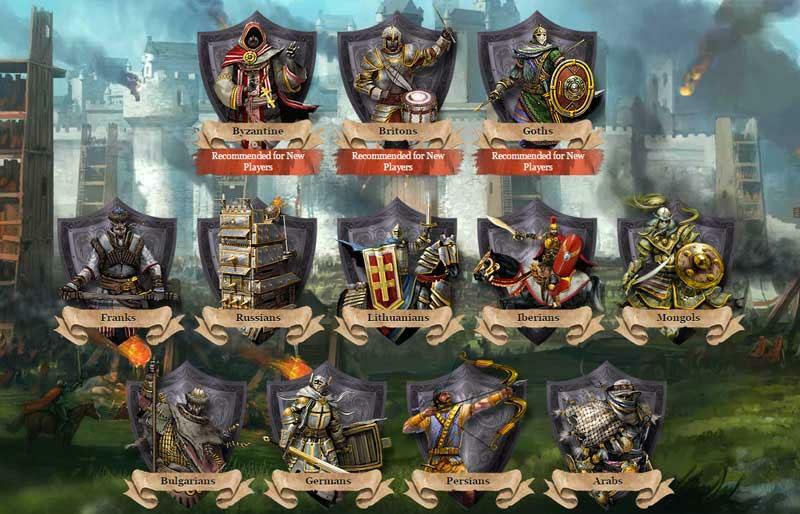 If you love the intricacy of medieval warfare, you should definitely check Khan Wars out! You won’t be disappointed, that’s for sure! After signing up on the website, you’ll be presented with a range of worlds to choose from. You may have noticed by then that Khan Wars is a very unique game indeed. Instead of having an endless timeline, the worlds in this game have an expiration date of sorts (usually after 5 months since the world was established). This is a great way for new players to hop right into a game without needing to worry if they could keep up with the other players who have been in the game for much longer and perhaps already have a huge army amassed. Furthermore, different worlds have different speeds, such as 2x, 5x and 10x, and utilize 1 of the 2 types of maps as well. Classic maps are the older version in the game as it retains a lot of the older features that the players love and the maximum level on those maps is 36. New maps, on the other hand, has a lot more new features like Mines and Mercenary Camps, and also a bumped up maximum level limit (up to level 40). With so many worlds you can choose from, it’s best to find one that suit you the most. Of course, new players would usually prefer the latest created world as they will be on a more even footing from the get-go. Once you’re in the world, you’ll then need to choose a nation from the 12 nations available, namely Byzantine, Britons, Goths, Franks, Russians, Lithuanians, Iberians, Mongols, Bulgarians, Germans, Persians, and Arabs. Khan Wars features one of the most extensive nation choices that I’ve ever seen for an MMO strategy game, so it can be rather daunting to pick a nation you like. It’s always best to go through them one by one to see a nation that you truly resonate with. After all, every nation in this game has its own special bonus as well as its own unique unit, and well, some nations are better economically while others have military advantages. If you need some help choosing a nation though, there are 3 main nations, namely Byzantine, Britons, and Goths, that the game recommends for new players. Like most MMO strategy games out there, there are resources that you’ll need to produce and collect in order to develop your nation from a small village into a mighty empire in Khan Wars. 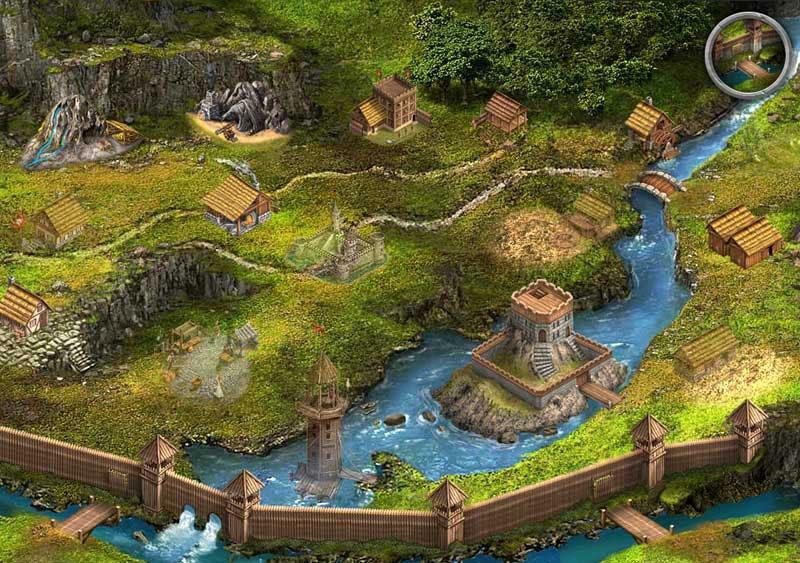 These resources include gold, iron, wood, and food. The resources are produced at a specific production rate depending on the level of your production facilities and naturally, you can upgrade each facility to keep up with your resource use especially during an intense war campaign. Don’t forget to build and upgrade your storage as well to accommodate the growth in your production rate. Population is also an important part of the game as you’ll need these people to help your city produce resources and also to make up your army later on. You can increase your nation’s population by upgrading your dwellings. Of course, if you need any more resources, you can easily get more by completing quests or by force. Economy aside, it’s time to talk military! There are plenty of units that you can recruit via a range of military buildings like the barracks, archery range, stables and workshop. There are special units (specific to your nation) and nobles that you can recruit via the Order as well. Improving your units’ strength and efficiency in battle is of utmost importance in Khan Wars (or any strategy game for that matter) and you can do so by commissioning upgrades at the blacksmith. Having an army is not enough, you’ll still need a leader to guide them to victory! 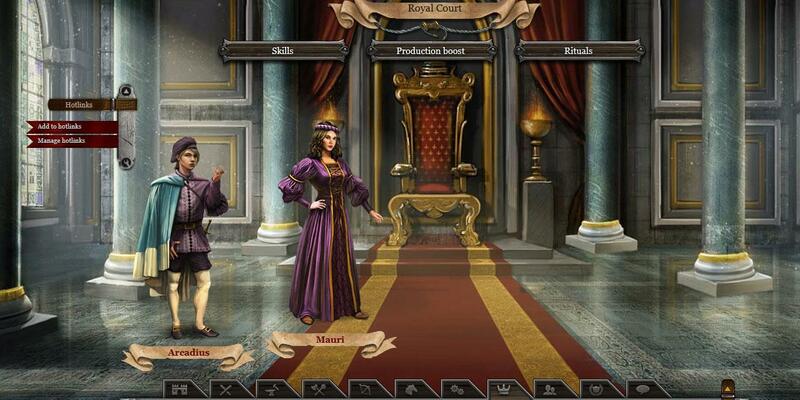 That leader comes in the form of knights, which you can recruit at the Royal Court. Knights can be promoted into 1 of 4 positions that will award the knight in question with some pretty advantageous abilities and boosts. These positions include Marshal, Landlord, Trader and Spy. Naturally, different positions will emphasize on different aspects of the game. For instance, Marshals and Spies are best used for offensive attacks while Landlords and Traders are more economically-minded and are best used to develop your nation. 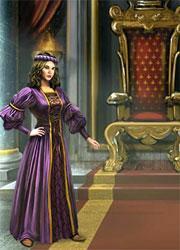 Interestingly, you could even continue on the royal family line by proposing to your knights. You can then knight your grown-up offspring and assign them to any of the positions as well. Is your army thirsting for some action? Great, let’s get them going then! There are plenty of campaigns (9 types in total) that you can carry out, including Attack, Patrol, Spy, Support, Transfer, Caravan, Transport, Settle and Camp. Granted that not all of that are PvP in nature, it’s still amazing to see that Khan Wars provides player the option to move troops and resources around freely in order to be able to aid allies when needed. Combat in this game is grid and turn-based, and the success of a battle relies on several very important factors. One of which is your battle formation. 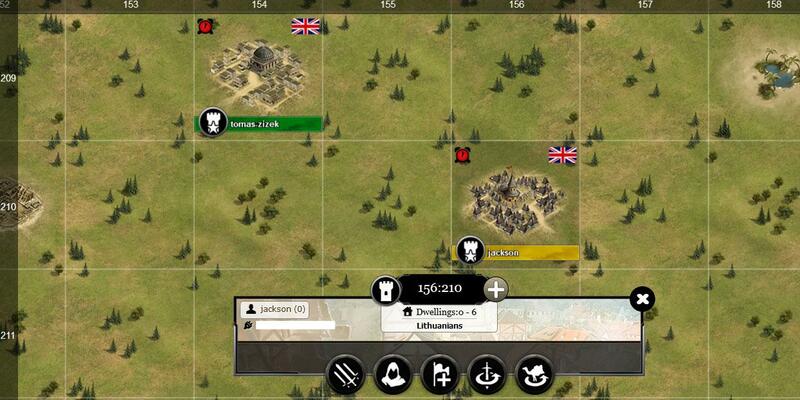 Via the battle formation interface, you will not only be managing the amount of troops you deploy into the battlefield but also their position. If you find yourself using a couple of formations repeatedly, well, you should be happy to know that you can save your formations in this game. To give you a better insight on how a battle will play out, Khan Wars also feature a battle simulator whereby you can input all the factors that can literally “turn the tides of war” into the nifty simulator and the game will calculate your probability of success. Of course, there are plenty of aspects to take into account and the system may just be able to give you a very rough estimate of what will happen, especially when the margins of winning is narrow and that you cannot know for certain some of the settings, such as battle formation, of your opponent. If you need some extra aid, you should definitely focus a bit more on training up your nation’s skills. You can gain skill points by accumulating experience points from doing a variety of actions in the game and leveling up. There are up to 13 different skills you can invest those points in and these skills ranges from militaristic skills to economic ones, such as leadership, warrior, finance and education. Each of these skills can then be further upgraded up to 3 levels, namely from apprentice to master, with each level bringing an addition 5% to 10% extra boost to the skill in question. There are plenty more features in Khan Wars including vacation mode for long periods of absence and protection mode which allows you to regain your power for a short time. You can even restart the game and start from scratch, change your castle name, update your profile, check your achievements and many more. Like most MMO strategy games, you’ll definitely need a “band of brothers” to give your nation sufficient protection to grow. Khan Wars cater to that need by providing clans. Once you reach level 3, you can then create your own clan or join an existing one. Clans are not only useful by having someone to guard your back, but also to find new allies that you can trade with. 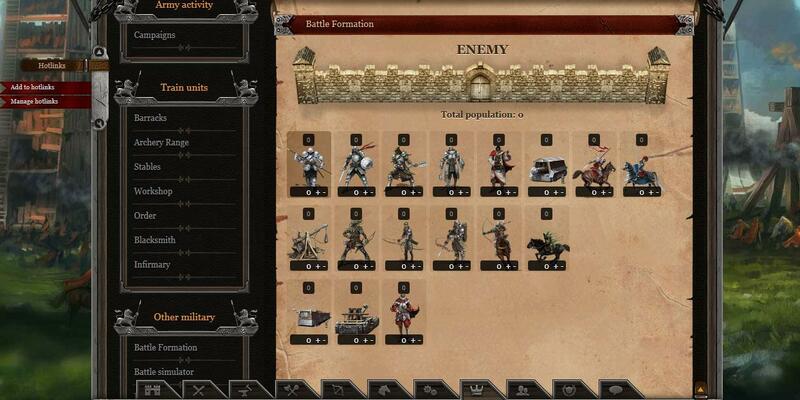 You’ll also be able to join in the clan’s war effort by contributing either troops or resources as well. That being said, the community in Khan Wars is going strong. Most worlds in the game have thousands of players with the most recent ones having more than 10 thousand of players. So, you don’t need to worry not having enough targets to send your troops to while playing the game. The static (unanimated), hand-drawn graphics in Khan Wars are pretty good considering that it’s a browser-based game. However, in terms of music, the game provides none. On the bright side though, you can put on whatever you like to listen to as you play the game. In a nutshell, Khan Wars is a fairly complicated MMO strategy game due to its many features, yet easily understandable after exploring the many options available for a while. It is pretty much a slow-paced game as vital resources are generated at an hourly basis, though it may seem a tad bit fast-paced at the beginning. So, do you think you have what it takes to reign supreme in Khan Wars? Play now and find out! 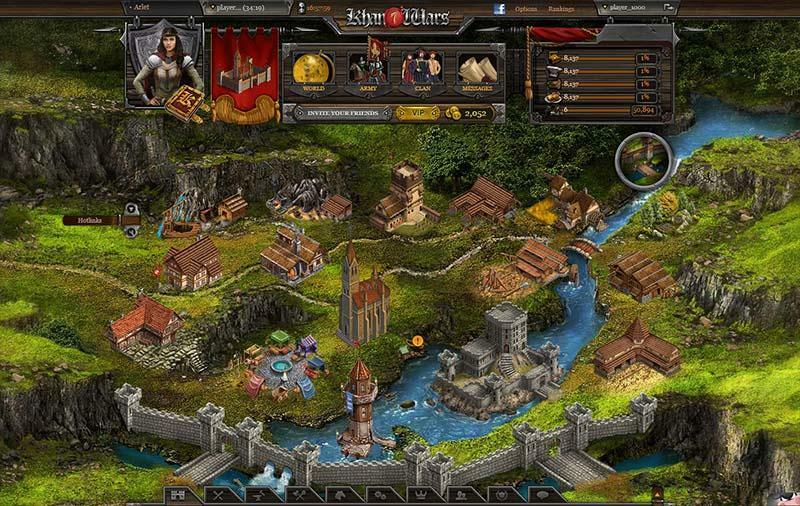 by Aethyna Nov 10, 2015 Immerse yourself in the medieval era by playing the ruler of a budding nation in this intricate MMO strategy game, Khan Wars! Build up your nation economically and militaristically, and send campaigns against other players on the map to exert your dominance! Will you be able to reign supreme in Khan Wars? Read More Be the First to Post a Review!